Hot off the press—a sneak peek at GP's introduction to her new cookbook, The Clean Plate: "When I say 'clean,' a lot of people picture me living off foods like kale, oat milk, kelp powder, wheatgrass—and who knows what other foods that I would never actually eat. I also typically do a cleanse only once a year, which is not about punishing my body for enjoying things like burgers and whiskey the rest of the year. Eating clean as a baseline, or full-on, for a set period of time isn’t a moral choice, and it shouldn’t have to feel like an act of deprivation." Our fashion and market editor, Eileen Hayes, has to be the cutest pregnant person on the planet. She’s also been remarkably resilient after losing her home in the Malibu fires. Her a.m. routine (lounging with coffee, stretching on the roof, essential oils in the shower, and music while she gets dressed) has us all inspired to take care of ourselves a little better this year. 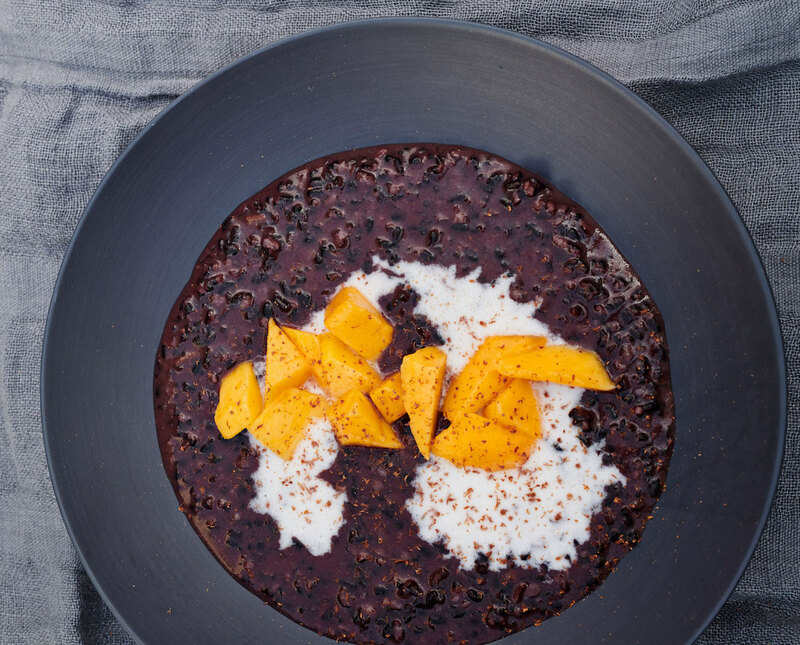 From GP’s new cookbook, The Clean Plate: "Full of iron, vitamin E, and antioxidants, black rice is a nutritional powerhouse. It also happens to be delicious. Here I simmer it slowly in water and coconut milk and top it with ripe mango. It plays to both sides—a little sweet, a little salty. In the right crowd, I’d even get away with serving it for dessert." 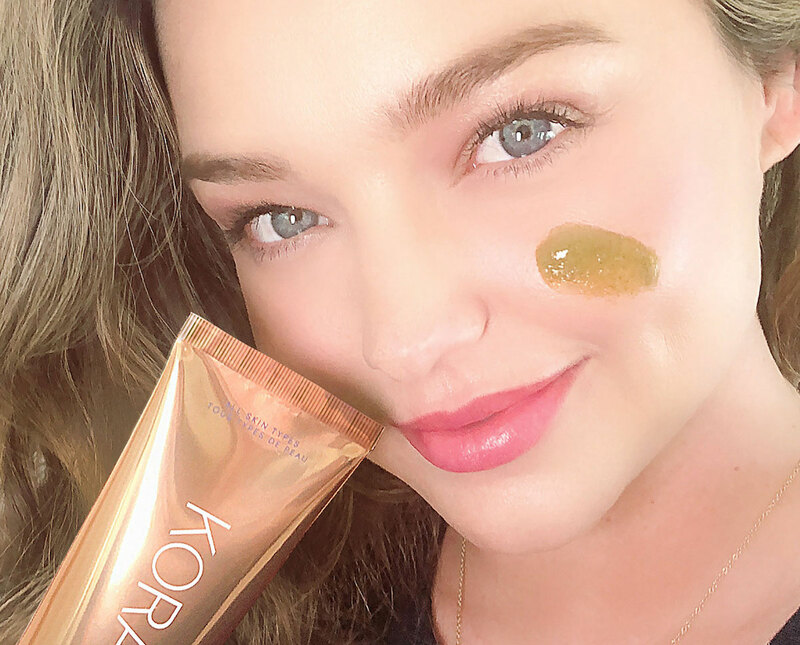 A turmeric-honey-lemon drink helped turn goop senior beauty editor Megan O’Neill’s cold around, so she decided to see what the same root in a new gold-packaged face mask could do for her skin. The feel-good fashion movement has touched just about every corner of our closets. From small-batch tees to recycled jewelry and cruelty-free clothing, there’s a company out there doing its part. And what goop's fashion and market editor loves most, second to doing her part, is that you don’t have to sacrifice personal style to start shopping more mindfully. GP’s new cookbook, The Clean Plate, lands today, and she’s sitting down with goop’s food editors to talk about cleansing, cooking styles, and the foods she actually eats and enjoys. They cover memorable detoxes, easy clean swaps, beloved ice cream counters, and the most respectable form of French fry. After the chat, they go through the food questions everyone wants GP to answer in a lightning AMA session.